With all of the great coverage coming out today on the upcoming expansion, we thought it’d be fun to take some of the details we’ve been revealing and relate them in practical terms. One of our main goals in this expansion is making sure that no matter what day of the week it is, and regardless of your experience or progression, that when you log in you can make meaningful progress toward advancing or customizing your character. To set the scene for this article: Mists of Pandaria has been released, and as a long-time player I’ve enjoyed exploring all the new high level zones and tackled countless quests. I’ve leveled my character up to 90 and I’m logging in to play for the night. What is there to do? I haven’t hit max on my professions yet, and as an avid cook I’m interested in maxing out each of the new branching trees of cooking specialization. The changes to Archaeology are pretty great so maybe I can mix in some dig sites as I go. I actually got a chance to teleport to a different dig site last night after finding an artifact, which really helped, along with now being able to dig more times at a single site. I haven’t worked on Inscription much, but I really love the looks of the staff or wand I can make with the profession. Being able to level my tradeskill all the way to 600 by just working on them doesn’t hurt, either. Of course, I could go hit the cooking, fishing, and archaeology faction dailies and level those professions that way too. I should probably work on my factions some more. With the new factions and their currencies I can acquire Craftsman tokens to spend on vanity items like fun toys or pets, and with Elder tokens I can purchase new items, convert them to Valor, or purchase Charms of Good Fortune. The charms actually allow me to “buy” another go at a boss’s loot table (including LFR) once I’ve downed them. I’m really glad the bonus roll loot tables are class specific, so I don’t run the risk of getting an item I can’t use. I do have a chance of just getting gold or some consumables, but it’s not a bad deal since I’m still getting rewarded for working on my factions. I’m only Honored with a few so far, and one of my friends hit Revered with Golden Lotus last night so I want to keep up. Exalted is pretty tough to hit and I want to try to be the first in my guild to get one of the new factions maxed out. I can complete dailies to get faction, and even earn more powerful items along the way. I have all of the dungeons and raids at my disposal, and now that all of the raids are supported by the Raid Finder I don’t need to wait for my guild’s raid night to get a shot at some upgrades; plus with some Charms I have a lower probability of experiencing “loot rage” with the option of a second roll. Speaking of loot rage, the change in Raid Finder to per-player loot has made running random raids so much nicer without people fighting over rolls. I really wouldn’t mind running another one tonight. With the new Valor system, I can work toward upgrading my current gear by increasing its item level and adding on a few stats at a time. Raid Finder is an option for a little Valor from boss kills, or I could get some more from dungeons, challenges, or scenarios. Regardless of what else I have to do I could be earning Valor and improving my items, which makes scenarios, challenge modes, and dungeons a very appealing option for tonight. If I do make some gear improvements, I’ll probably want to hit the new Proving Grounds. 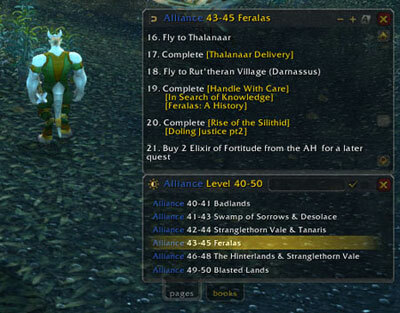 They’re like lored-up solo instances that make trying out my rotations a lot more fun since I can chase achievements. So maybe I’ll work on getting some item upgrades from dungeons, raids, or faction rewards, or I can improve my current item levels with Valor earned from challenge modes, scenarios, dungeons, and Raid Finder. I’m not ashamed to say I’m kind of geeked up over the new Pet Battle system. I wasn’t a very avid pet collector before, but after battling some of my friends (and seeing how much some of the trained pets sell for on the auction house) my interest has definitely skyrocketed. But you know, I’ve seen some people strutting around with new transmog items, and I’m thinking it’s time I start looking a bit fancier. I have a few friends on and we can use dungeon finder to fill out a challenge mode run, which is where the coolest looking transmogrification set (IMO) for my class comes from. I just need another medal in Gate of the Setting Sun and I’ll be able to get the boots, and then move on to the chest piece. It’s pretty easy to build a group too since none of us really need to be chasing the same medals, as long as we hit them we’ll be able to make progress toward some rewards. The ultimate prize for completing all the challenges is a mount, of course, and although I’m still a ways off from that it’s a good goal to shoot for. Those are some ideas, but I’ve really been getting back into PvP lately. With some of the changes it’s pretty enticing to get out into the world and mix it up. By accomplishing some of the outdoor PvP quests and objectives I can actually raise my weekly Conquest cap, which means I can build my PvP set that much faster. I’ve flown over some pretty intense looking outdoor battles, and I can’t help myself as I jump in and work toward increasing my cap for the week. Plus, with the change from Resilience to two new stats and the accompanying item budget changes, the PvE gear I’m wearing isn’t totally awful if I do want to jump in (or get jumped while trying to work on my dailies). Once I start getting more PvP gear I also won’t be totally awful if I decide to hop into a dungeon. I’m still working toward a set of PvP and PvE gear, but it’s nice to be able to work on what I want and not be completely underpowered if I change my mind or want to dip my toe into one or the other. The other two people from my 3v3 team are online, and we should probably group up and go see about increasing our caps. Once I increase my cap I definitely want to get back into one of the new objective-oriented Battlegrounds. Protecting and pushing a mine cart as you fight off attackers in Silvershard Mines is a ton of fun, and the Murderball-esque Temple of Kotmogu is super intense. Well, I clearly have a lot of options for tonight. I almost forgot about finding some of the new mounts that are hidden around Pandaria; cultivating my garden and earning faction with the Tillers; caring for, hatching, training and eventually riding my own cloud serpent mount; building my historical library with the Lorewalker faction; and advancing my progress in the persistent sacred Vale of Eternal Blossoms by driving the Mogu out. There’s clearly no shortage of things to do at the level cap. So what should I do tonight?